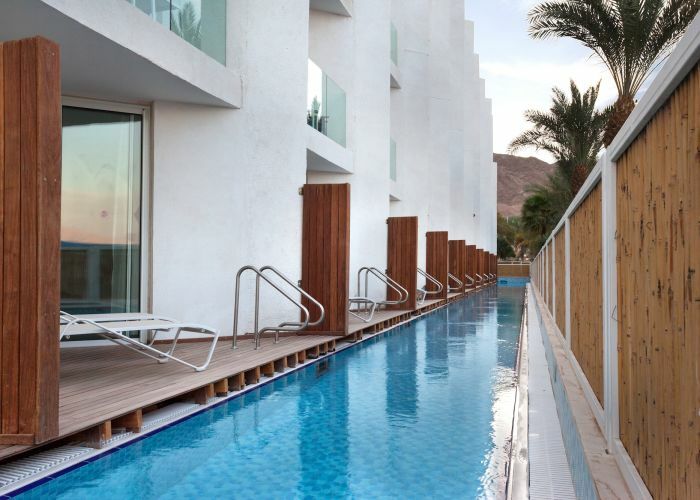 The Reef Eilat Hotel prime location on the Red Sea coastline and Coral Beach Nature Reserve has contributed to the new property’s increasing popularity. 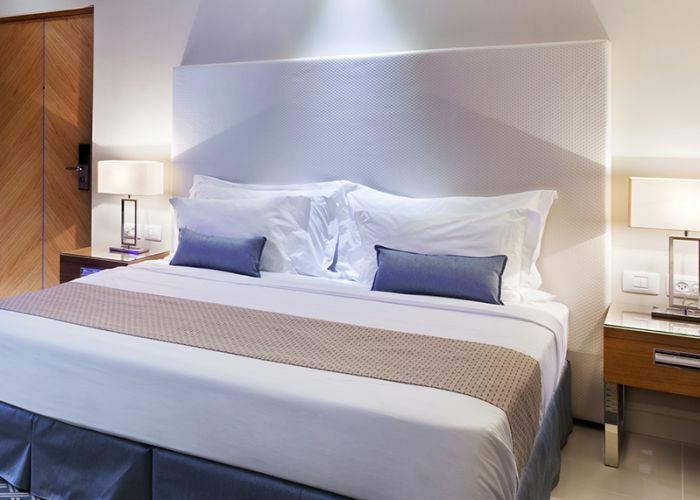 With its renowned spacious and luxurious rooms and dedicated personalized service, the hotel has become one of the southern city’s most sought-after boltholes. 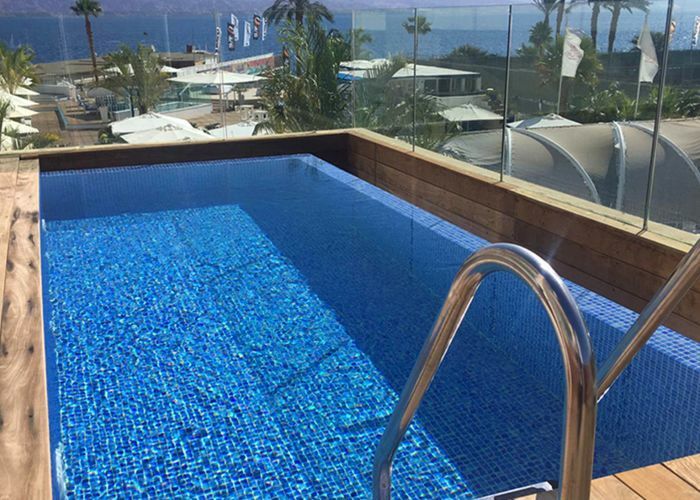 Our staff ensures an unforgettable stay for each of our guests, from the moment they arrive, and time after time! 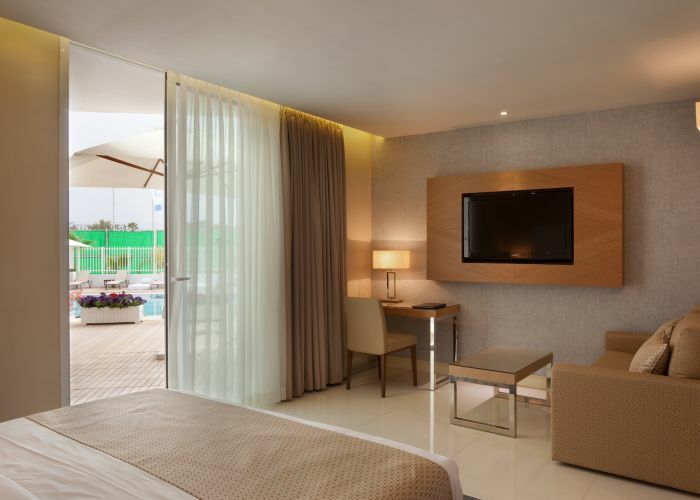 The Deluxe Room at the Reef in Eilat Offering complimentary Wi-Fi and international phone calls to more than 60 destinations worldwide, this room category offers guests with contemporary amenities and furnishings. 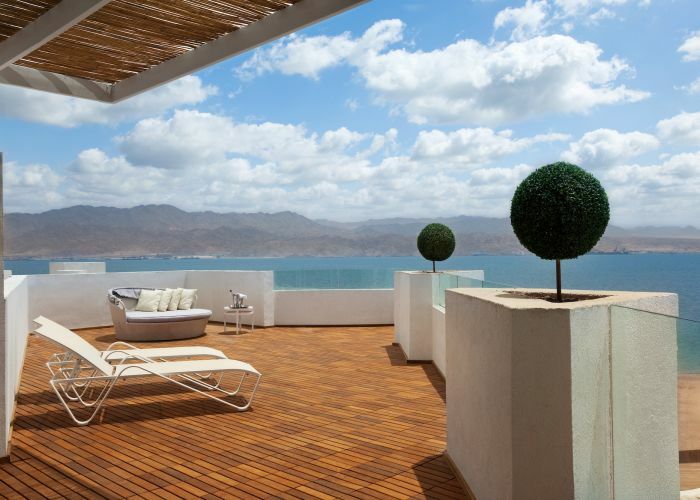 Rooms located on the 2nd -4th floors also boast partial views of the Red Sea. 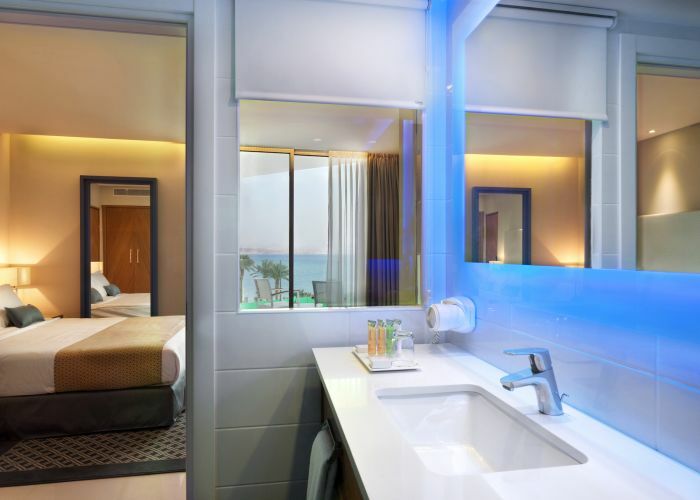 Each of the rooms in this category also include: Twin or King-size bed Balcony with sea views Bathtub/Shower LCD TV Mini Bar Hair dryer Safety deposit box The room is suitable for two adults and two children. 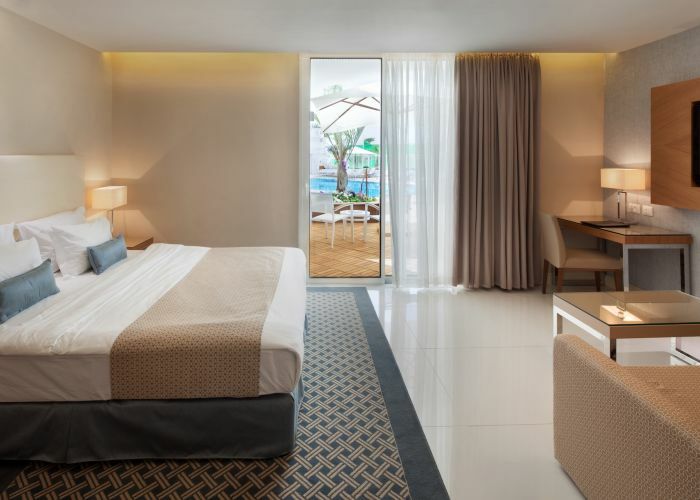 The Deluxe Room with Sea and Pool View at the Reef in Eilat Offering complimentary WiFi and international phone calls to more than 60 destinations worldwide, this room category offers guests with contemporary amenities and furnishings. Rooms are located on the 2nd -4th floors. 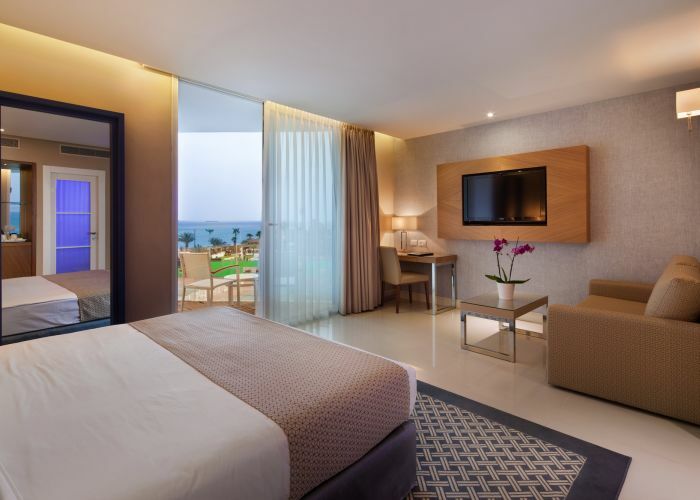 Each of the rooms in this category also include: Twin or King-size bed Balcony with sea and pool views Bathtub & Shower LCD TV Mini Bar Hair dryer Safety deposit box The room is suitable for two adults and two children. 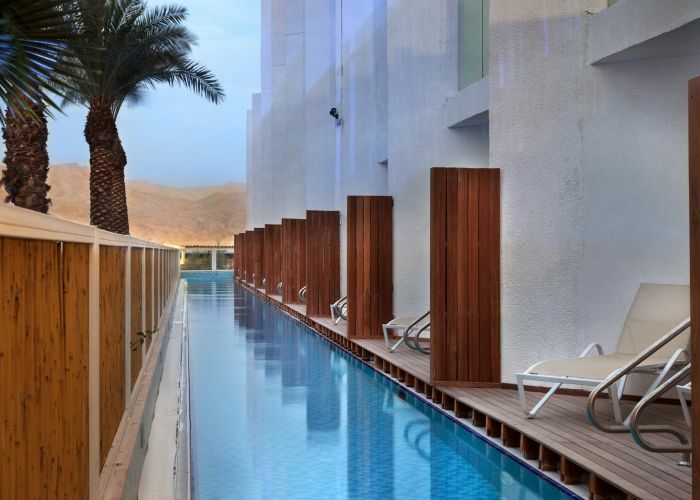 The Deluxe Private Complex Pool at the Reef in Eilat Offering complimentary WiFi and international phone calls to more than 60 destinations worldwide, this room category offers guests with contemporary amenities and furnishings. 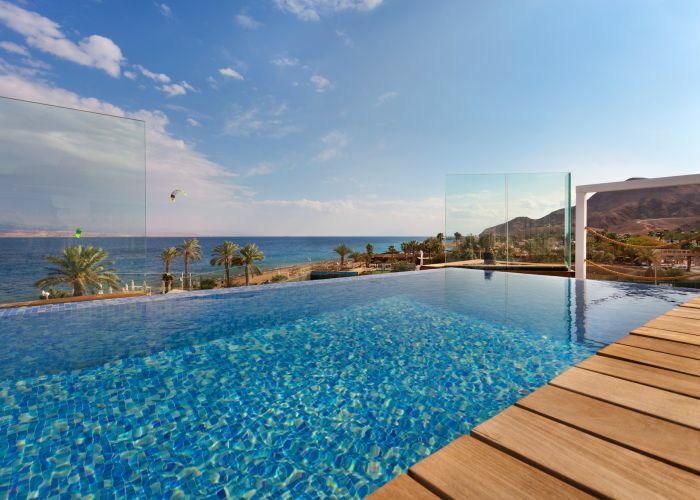 Rooms located on the ground floor and include an access to a backside pool. 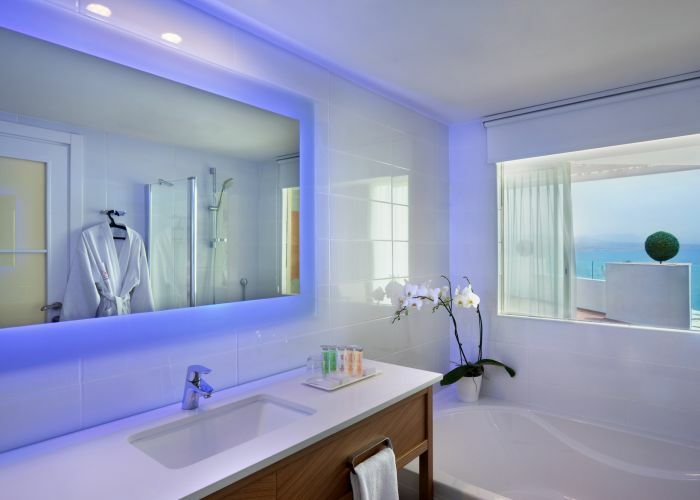 Each of the rooms in this category also include: Twin or King-size bed Bathtub or Shower Flat screen TV Mini Bar Hair dryer Safety deposit box Nespresso coffee machine and coffee/tea station The room is suitable for adult guests over the age of 18. 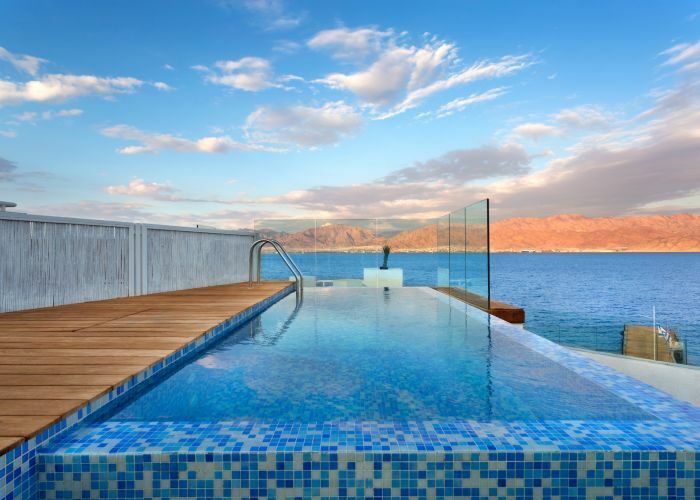 The Luxury Suite with a Private Pool and Balcony at the Reef in Eilat With complimentary Wi-Fi and international phone call access to more than 60 destinations, this suite includes a large bedroom, a seating area, a Nespresso machine and a sun terrace with private pool overlooking the Red Sea and Edom mountains. 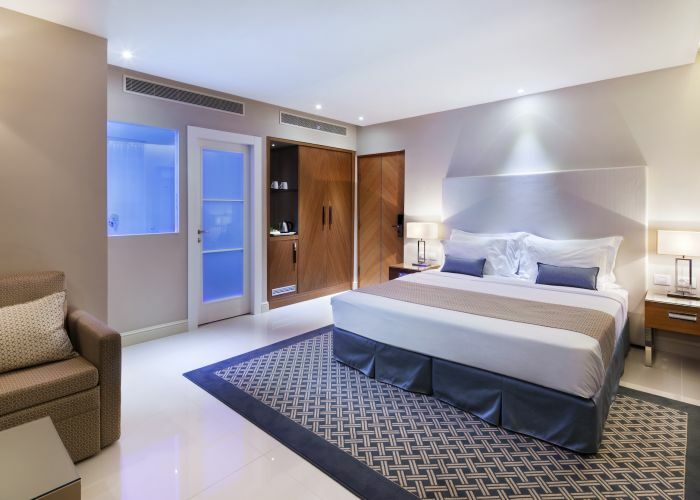 This suite category also includes: King-size bed Balcony with sea views Bathtub & Shower LCD TV Mini Bar Hair dryer Complimentary WiFi Telephone Safety deposit box Nespresso coffee machine and coffee/tea station The suite is suitable for two adult guests over the age of 18.